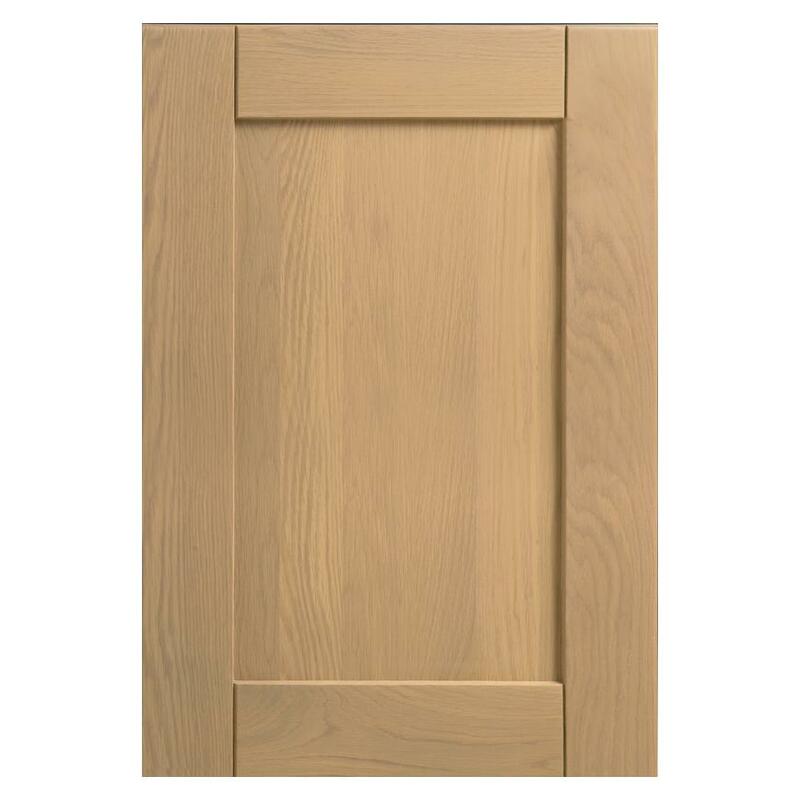 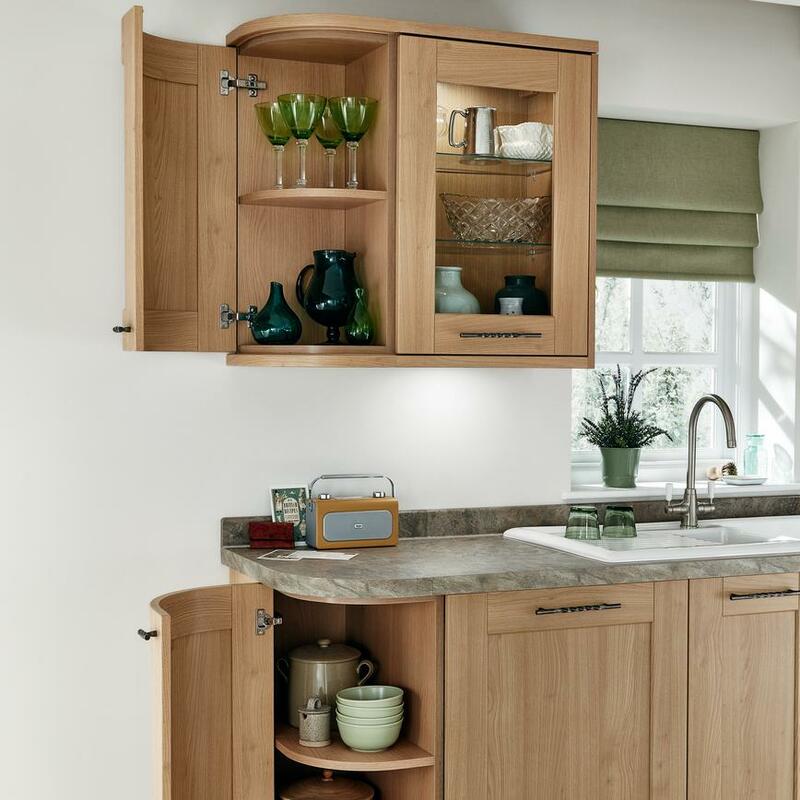 Create a characterful kitchen where the warmth of oak takes centre stage with this light oak Shaker-style cabinet door. 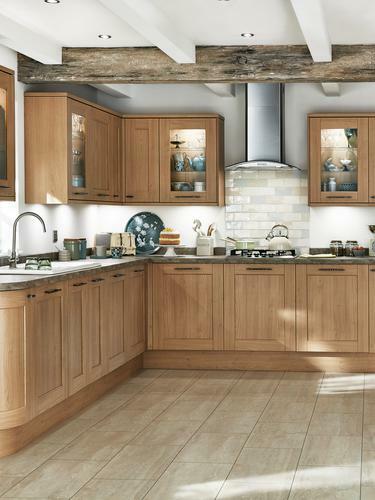 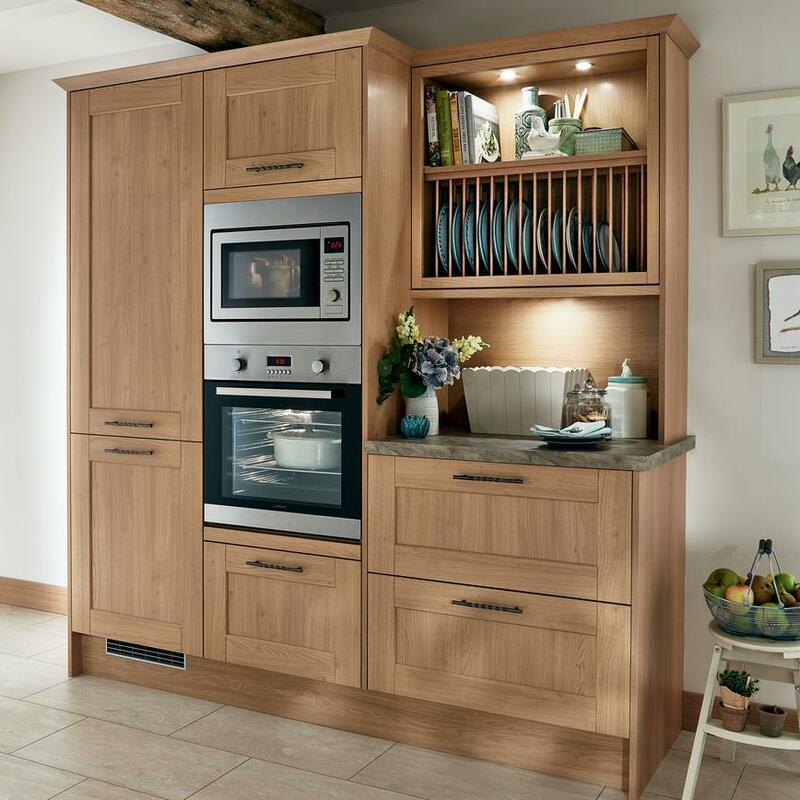 This 19mm-thick five-piece cabinet door has a wood grain finish and light oak colour to create a kitchen inspired by country style. 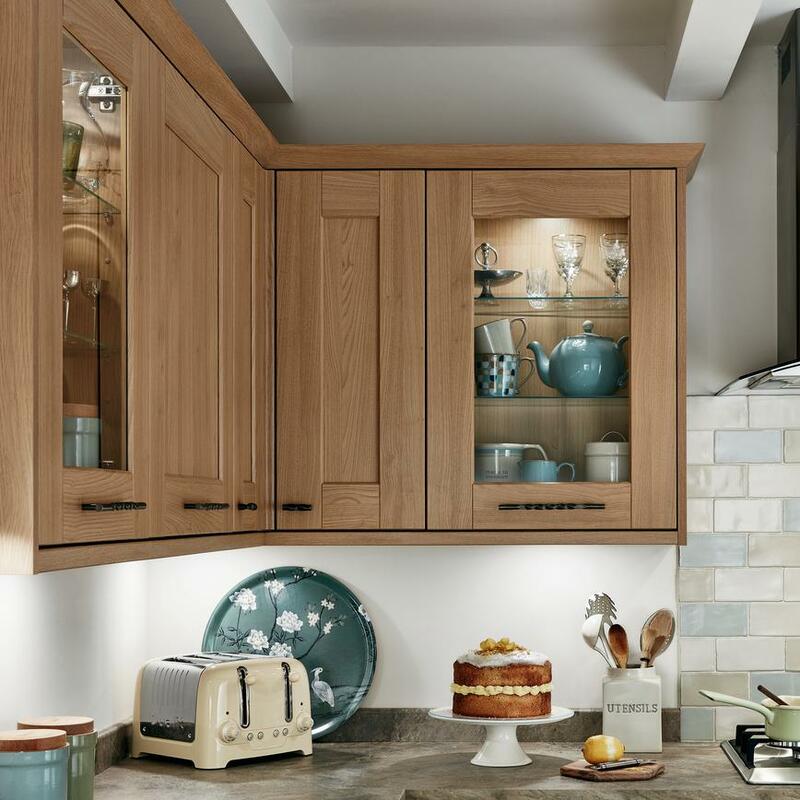 Cabinet options include glass wall units and extra tall and deep units for added storage. 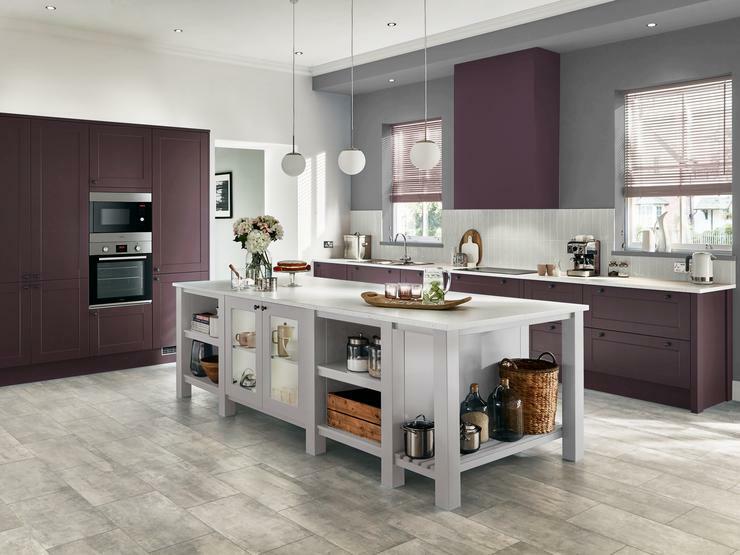 A light colour palette will help the kitchen feel more spacious. 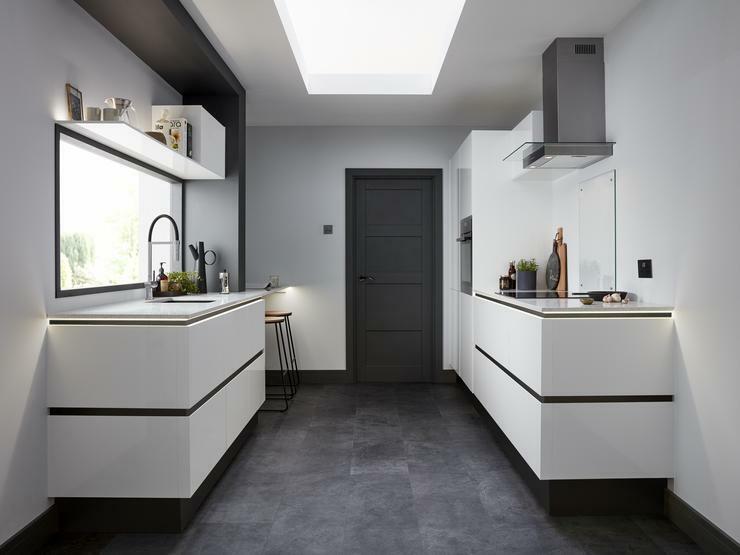 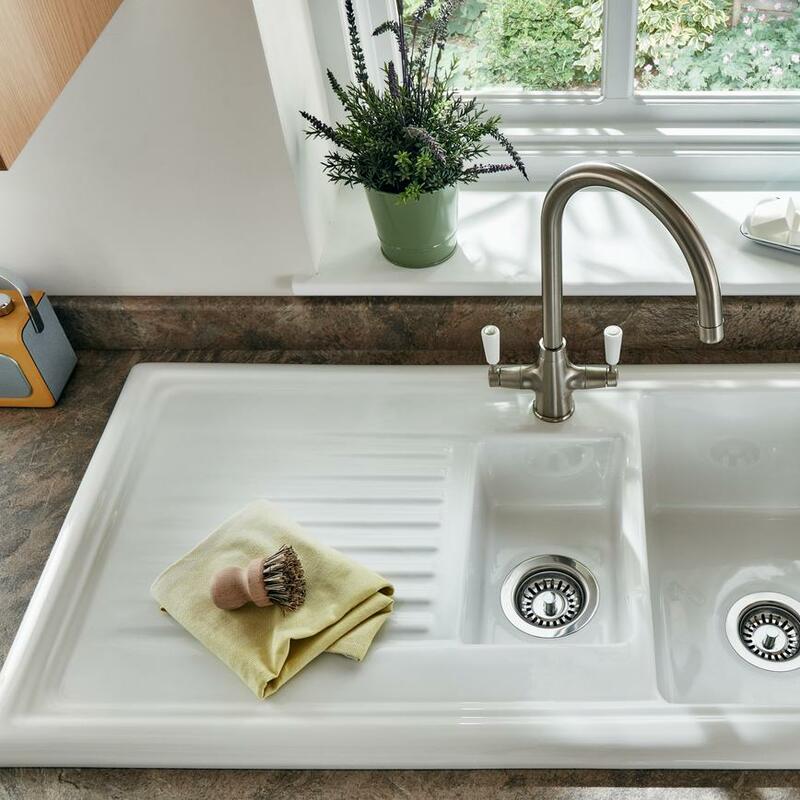 Opt for neutral materials like a hardwearing natural stone effect worktop and a light travertine laminate on the floor. 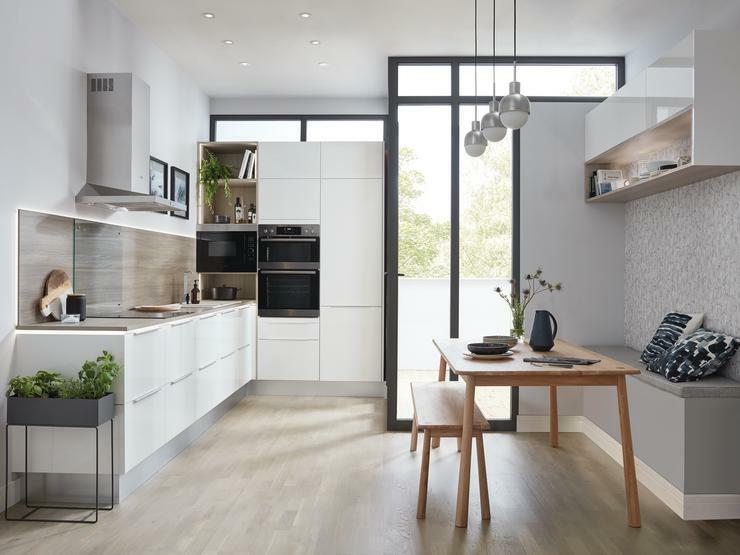 Integrated appliances like a 70/30 fridge freezer will keep the kitchen neat and tidy. 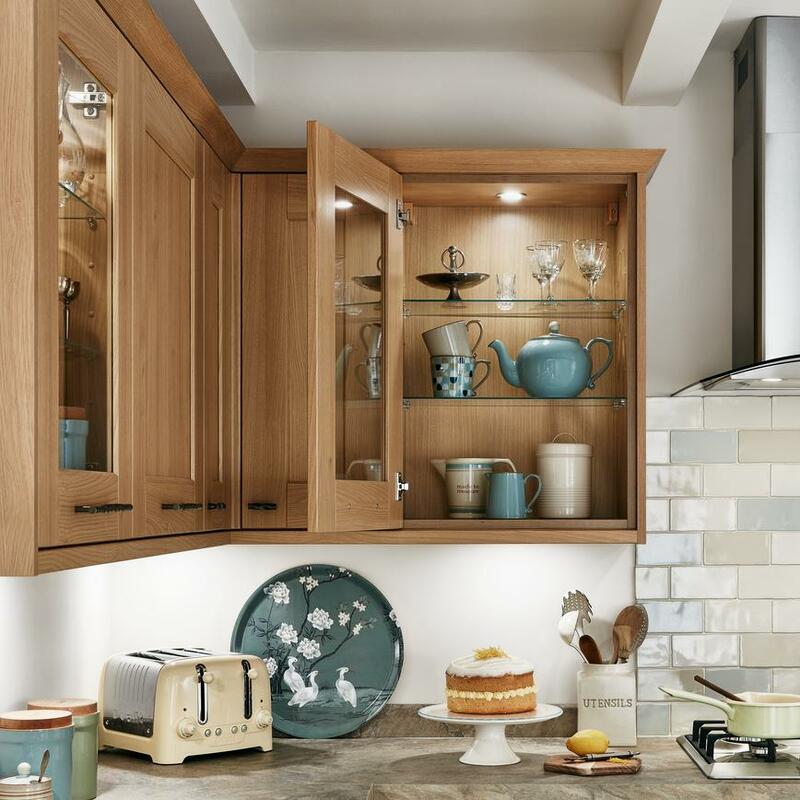 A built-in oven at eye-level in an appliance tower will enable easy access to get food in and out of the oven.Antique pewter effect handles add a touch of authentic style and an ornate design feature to this traditional look.